Mr. Bale has practiced law in Texas for more than 35 years. During his years in practice, Mr. Bale has tried a significant number of cases to conclusion in both state and federal court, jury and non-jury. 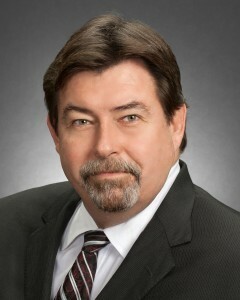 He has tried cases involving serious and catastrophic personal injury and death, premises liability, maritime cargo, business disputes, complex non-competition contract disputes, wrongful termination, insurance coverage disputes, fraud and deceptive trade practices, products liability, copyright infringement, and securities-related cases. Mr. Bale has also handled many maritime casualty cases, including incidents resulting in catastrophic collisions/allisions, well shut-in cases, cargo claims, maritime pollution and miscellaneous property damage matters from the initial investigation of the incident through conclusion. In addition, Mr. Bale has served as lead counsel in mass tort cases involving thousands of plaintiffs and in multidistrict antitrust class action litigation involving allegations of price fixing of lease oil royalty payments. Mr. Bale also routinely consults with clients in non-litigation business matters ranging from both advice to preparation of documents in both maritime and non-maritime transactions, as well as offering opinions on insurance coverage issues. As items of special note, Mr. Bale was interviewed by the Forbes Business Network in connection with its program airing on American Airlines entitled, “Special Tribute: America’s Best Lawyers.” Significantly, Mr. Bale’s co-authored the article, Engerrand and Bale, Seaman Status Reconsidered, 24 South Texas Law Journal 431 (1983), was cited with approval by the Supreme Court of United States in rendering its decision in the case of McDermott Int’l, Inc. v. Wilander, 498 U.S. 337, 111 S.Ct. 807, 112 L.Ed. 2d 866 (1991). Mr. Bale also served as Chair of the Admiralty Law Committee of the Defense Research Institute, a national defense organization based in Chicago, Illinois, from 2000-2002. Mr. Bale was recently selected to be listed in the Best of the U.S., a non-paid directory of professionals in the United States. He is also a member of the American Inns of Court and is a Master in the Garland Walker Chapter. Mr. Bale has also been included in A.M. Best Company’s Directory of Recommended Insurance Attorneys and has been selected to be a Fellow in the Texas Bar Foundation, an honor bestowed on one-third of one percent of the Bar, selection being based on an oustanding record in the legal profession and commitment to support the community at large. Mr. Bale has been an invited speaker at seminars on topics ranging from the Americans with Disabilities Act, handling the defense of occupational exposure cases, contractual liabilities in the offshore context, developing issues in maintenance and cure, as well as other subjects, by such organizations as the University of Texas, the Houston Mariners Club, and the Independent Insurance Agents of Houston. Finally, Mr. Bale has been accorded a peer-reviewed AV rating by Martindale-Hubbell Legal Directory, the highest rating awarded by that publication. In addition to an active trial practice, Mr. Bale has also handled the appellate aspects of many cases. Mr. Bale was integrally involved in the appeal of Guevara v. Maritime Overseas Corporation, 59 F.3d 1496 (5th Cir. 1995), which abolished the availability of punitive damages in maintenance and cure cases within the Fifth Circuit. Mr. Bale also served as lead counsel in the case of Maritime Overseas v. Waiters, 923 S.W.2d 36 (Tex.App.–Houston [1st Dist.] 1995), aff’d. as modified, 917 S.W.2d 17 (Tex. 1996), which extended the Guevara punitive damage prohibition to maintenance and cure cases within the State of Texas. These cases remained stalwart precedents for fifteen years until the Supreme Court of the United States decided the case of Atlantic Sounding Co., Inc. v. Townsend, 129 S.Ct. 2561, 174 L.Ed.2d 382, 2009 AMC 1521 (2009). In his practice, Mr. Bale represents the interests of offshore and onshore seismic companies, vessel owners and operators, offshore drilling contractors, stevedores, refineries, manufacturers and suppliers of products, marine terminals, marine underwriters, P&I clubs, and general liability underwriters. Mr. Bale earned his Bachelor of Science undergraduate degree from the University of Texas at El Paso in 1977. He then attended South Texas College of Law in Houston, Texas, where he earned his Juris Doctorate in 1981. Mr. Bale is licensed to practice before the Supreme Court of the United States, the United States Courts of Appeals for the Fifth and Eleventh Circuits, the United States District Courts for the Northern, Southern and Eastern Districts of Texas, and all courts, trial and appellate, within the State of Texas. Mr. Bale is a member of the State Bar of Texas, The Bar Association of the Federal Fifth Circuit, the Houston and Fort Bend County Bar Associations, the Maritime Law Association of the United States, in which he holds Proctor status, the Defense Research Institute and the International Association of Defense Counsel. He is also an advisory Board Member of the Houston Maritime Arbitrators Association, in which he is also listed as a qualified Mediator and Arbitrator. He was born in 1954.